With regular departures from multiple convenient locations, make getting to and from the major Orlando theme parks as stress-free and straightforward as possible with the Theme Park Shuttle Express. 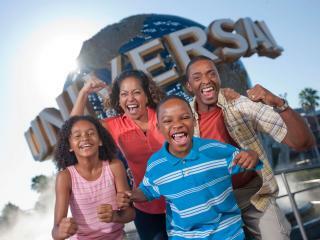 Choose either the Universal Orlando Shuttle, Walt Disney World Shuttle or go for a combo that includes both and get great value for money and use it as many times as you wish within your ticket validity. Buses depart from Wonderworks at 7.15am, 9.05am and 10.50am, stopping at Senor Frogs, ICON 360, Longhorn Steakhouse. Hulk Hogan Beach Shop, Ramada Inn Plaza and the Universal Resort Bus Loop, space #71. Return service begins at 5.30pm, with the last shuttle departing the Universal at 9.30pm. 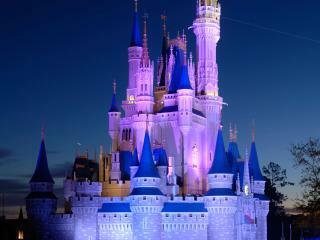 Enjoy unlimited use of the shuttle service to Walt Disney World, for the number of days purchased. Buses depart from Rosen Inn Universal at 8.00am, 9.40am and 11.20am, stopping at a variety of convenient locations including Visit Orlando Welcome Center and Rosen Inn Pointe Orlando before arriving at the Epcot transportation center. Return service begins at 56.30pm with the last shuttle returning 11.00pm from Magic Kingdom. 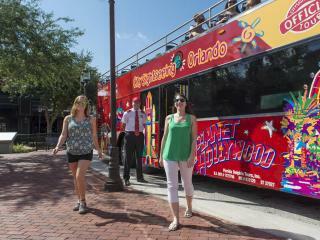 Take advantage of the Theme Park Shuttle Express! With this Combo, you will have a shuttle that will take you to both Universal Orlando and Walt Disney World.